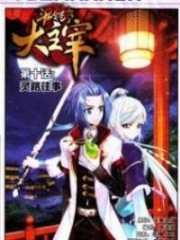 You’re reading novel Chaotic Sword God Chapter 1614 online at LightNovelFree.com. Please use the follow button to get notification about the latest chapter next time when you visit LightNovelFree.com. Use F11 button to read novel in full-screen(PC only). Drop by anytime you want to read free – fast – latest novel. It’s great if you could leave a comment, share your opinion about the new chapters, new novel with others on the internet. We’ll do our best to bring you the finest, latest novel everyday. Enjoy! The vast sea of blood churned and rapidly shrank. A dazzling light could be seen from time to time. Vaguely, golden strands seemed to weave through the sea of blood like worms. The sea of blood did not seem to be shrinking per its own accord, so there was a violent struggle in the process. However, no matter how it struggled and resisted, it was all useless. At the same time, the sea of blood stopped absorbing the essence of the universe, as if the awakening of the Primordial G.o.dsilk's power had suppressed even that. In the end, the sea of blood reformed into the figure that Jian Chen and the Spiritking had seen at first. It was nine meters tall and completely blood-red. It possessed the features of a human, except its face was a blur, making it seem faceless. A long, golden strand transformed from the Primordial G.o.dsilk wrapped around the blood-red figure with a dazzling glow. Under the radiance of the silk, the figure sizzled as blood-red mist disappeared at a visible rate. The Primordial G.o.dsilk was very effective against the evil spirit. It could literally be described as a born killer of the evil spirit. As a result, the evil spirit was immediately suppressed, despite being so powerful that it defeated even Jian Chen and the Spiritking in a single move. A dense layer of Radiant Saint Force surrounded Jian Chen as he hovered afar. As he healed, he also stared at the Primordial G.o.dsilk with hope. He could immediately see the light of victory after witnessing just how weak the evil spirit was before the Primordial G.o.dsilk. The Spiritking flew over from afar and consumed a pill, taking advantage of every moment to heal. He sternly stared at the golden threads around the evil spirit and said with a gruff voice, "I never thought you would have such a powerful treasure. Can this treasure destroy it?" "This is a sacred object born for the crisis of the world. It doesn't matter if it can destroy this evil power, but it's the only thing we can count on right now," Jian Chen replied solemnly. Originally, they had the G.o.d-slaying Formation, but after witnessing the strength of the evil spirit, he understood that it would be completely useless unless he could erupt with all the power the G.o.d-slaying Formation could offer. However, the cultivation level requirement for the formation was extremely high if they wanted to display such power. Just the several dozen Origin realm experts from the two worlds were far from enough. On the other hand, the three supreme treasures from the World of Forsaken Saints were called supreme treasures because they could be used to deal with an Origin realm expert, which were the apex in that world. Every single one of them reigned supreme, so the supreme treasures truly were worthy of their name since they could deal with such experts. However, using them against the evil spirit would be completely futile. At this moment, a chillingly and terrifying power suddenly appeared. It caused all the stars to tremor and darken. The evil spirit trapped within the Primordial G.o.dsilk had begun its counterattack. Under the restraint of the Primordial G.o.dsilk, it rapidly began to expand, becoming three thousand meters tall in a single moment. As the evil spirit swelled, the Primordial G.o.dsilk became taut. Its golden light flickered, keeping the evil spirit firmly trapped like a great net. As soon as its golden like struck the evil power, it actually vaporised the evil power. At the same time, the evil spirit's ability to devour everything had completely vanished under the Primordial G.o.dsilk's restraint. "Shen Jian, let's attack it as hard as we can and weaken its power, just in case it breaks free from the Primordial G.o.dsilk," Jian Chen said seriously. He immediately moved with the Spiritking, dealing attacks with his full power at the trapped evil spirit. The evil spirit had become a sitting duck now that the Primordial G.o.dsilk restrained it. It was unable to fight back at all against Jian Chen and the Spiritking's attacks. "A Will that Splits the Heavens: The Sword Shakes and Stars Shatter!" The Spiritking bellowed out. He directly stabbed the Spiritking through the gaps between the Primordial G.o.dsilk with his metal sword. As the sword tremored, it immediately produced rings of visible ripples. The ripples possessed extremely terrifying power. They could shatter stars, so the evil spirit's mist-like body immediately churned under the expansion of the ripples. Wherever the ripples pa.s.sed by, the surrounding mist would dull in colour. "Taiyi Sword Technique!" At the same time, Jian Chen moved as well. Without any hesitation, he stabbed the evil spirit as hard as he could. Jian Chen and the Spiritking would never have been able to injure the evil spirit if the Primordial G.o.dsilk did not restrain and suppress it. However, now that Primordial G.o.dsilk suppressed it, it was unable to use any strength at all, so it suffered from their attacks. However, their actions had completely infuriated the evil spirit. An extremely violent power immediately expanded, sweeping through the stars and making s.p.a.ce ripple. The evil spirit swelled even larger as it secretly charged up a terrifying power. It planned to smash through the Primordial G.o.dsilk in a single strike. The Primordial G.o.dsilk was completely taut as it shone with a dazzling golden light. Even though it did all within its power to keep the evil spirit restrained, it gradually lost the upper hand as the evil spirit's power rapidly strengthened. "The Primordial G.o.dsilk is still ownerless. Once the power inside fully awakens, you can refine it. Master, this is the best moment. Quickly refine the Primordial G.o.dsilk. Then control its power to deal with the crisis. The crisis this time is unimaginably powerful due to the influence of the Yinyang Saint Rock," the sword spirits' voices suddenly rang in Jian Chen's head. A gleam of light flashed through Jian Chen's eyes. Without any hesitation, he asked the sword spirits for the method of refinement. Then he arrived before the evil spirit with a single step. He bit the tip of his tongue and sprayed out a mouthful of essence blood onto the Primordial G.o.dsilk. Afterwards, he closed his eyes and sent his consciousness into the Primordial G.o.dsilk to refine it. You're reading novel Chaotic Sword God Chapter 1614 online at LightNovelFree.com. You can use the follow function to bookmark your favorite novel ( Only for registered users ). If you find any errors ( broken links, can't load photos, etc.. ), Please let us know so we can fix it as soon as possible. And when you start a conversation or debate about a certain topic with other people, please do not offend them just because you don't like their opinions. You're reading Chaotic Sword God Chapter 1614. This novel has been translated by Updating. Author: Xin Xing Xiao Yao already has 1771 views. Current Time is Apr-19-2019 17:14:01 PM.